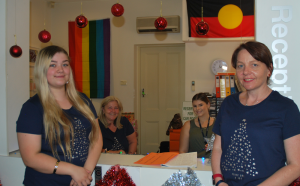 Amy is currently studying Certificate III in Community Services as part of a Schools-Based Traineeship from Paralowie R-12. “My placement at Hindmarsh has been very positive and informative. The team that I’ve been working with has treated me as one of their own and everyone I’ve met here has been very friendly and welcoming. I’ve really enjoyed my time here. I’ve learnt a lot. It has opened my eyes the diverse areas of community service and made me eager to learn more. And, the best news? 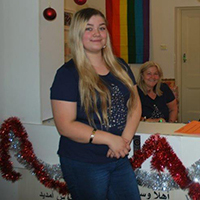 Since completing her placement Amy was successful in gaining a position as a Client Service Officer working across two Relationships Australia SA sites. Congratulations Amy! Deciding to take on study can be daunting, but Vocational Education and Training (VET) courses, such as Certificate III in Community Services, are designed to allow for on-the-job learning and assessment. With no more suffering through long tedious essays, you can demonstrate your skills and knowledge by working! And hey, you might even have some fun along the way!